Today is the day the City of Lights officially lands the hosting of the Summer Olympics in 2024. Now, one of the focal points will turn to fulfilling the commitment to make Paris 2024 the most sustainable Olympic Games yet. Quantis fully understands the challenge of what’s ahead, due to our experience on the field with Rio 2016, UEFA EURO 2016 and more. 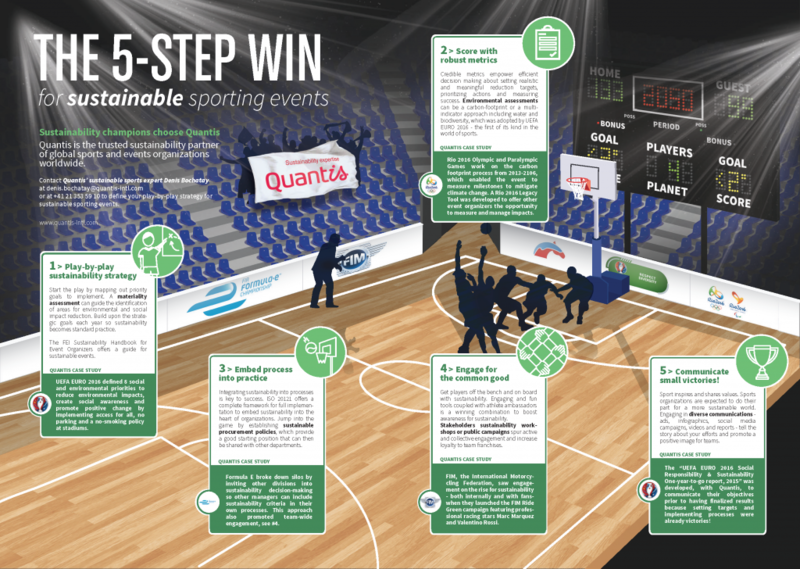 To learn more about organizing sustainable events, we’ve got you covered: check out our Paris 2024 press release, event case studies, collaborative reports and 5-Step Win infographic — or better yet, contact our sustainable sports experts Denis Bochatay (Switzerland), Benjamin Lenoel (France) or Annabelle Stamm (United States).